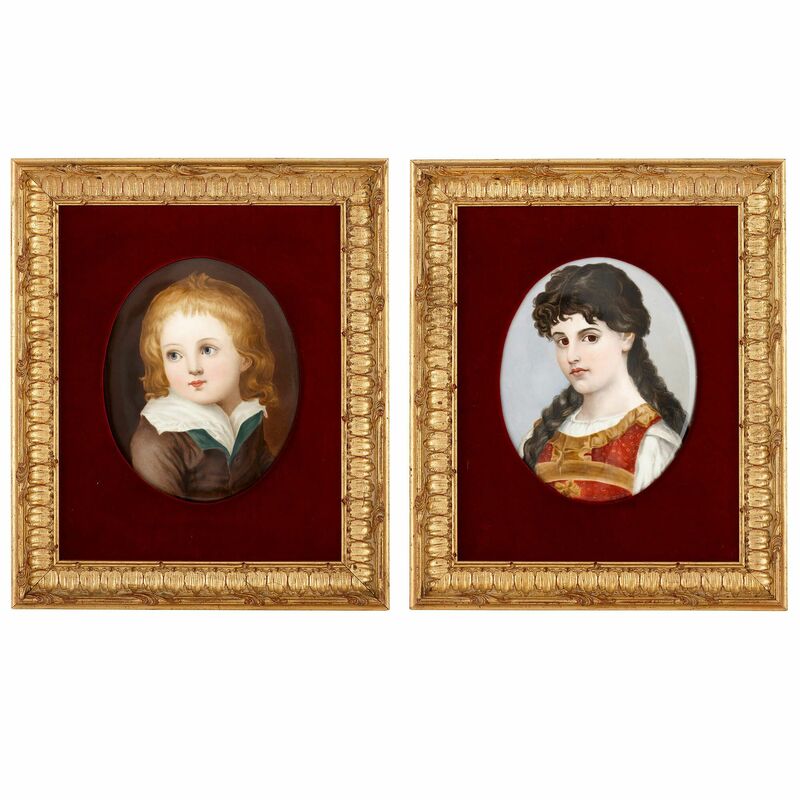 Crafted by the prestigious German KPM porcelain factory, these two half-length portraits of a young boy and girl are exceptional for their verisimilitude. This pair of portraits were produced in the 19th Century by the renowned Königliche Porzellan Manufaktur, or KPM, porcelain factory in Berlin. 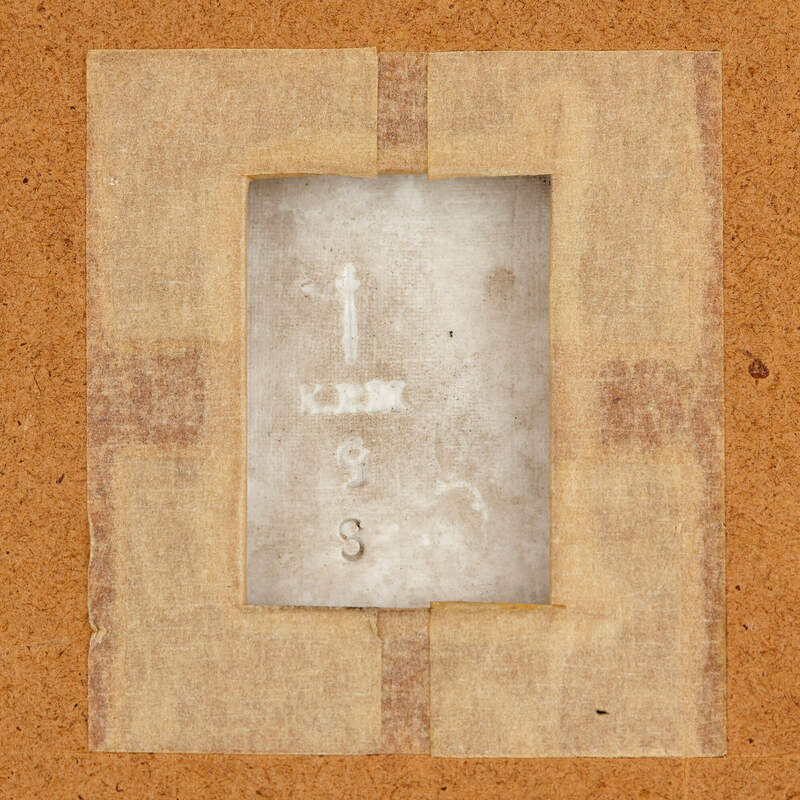 The back of each piece is impressed with the company's mark, a sceptre, along with 'KPM' and the letter 'G'. 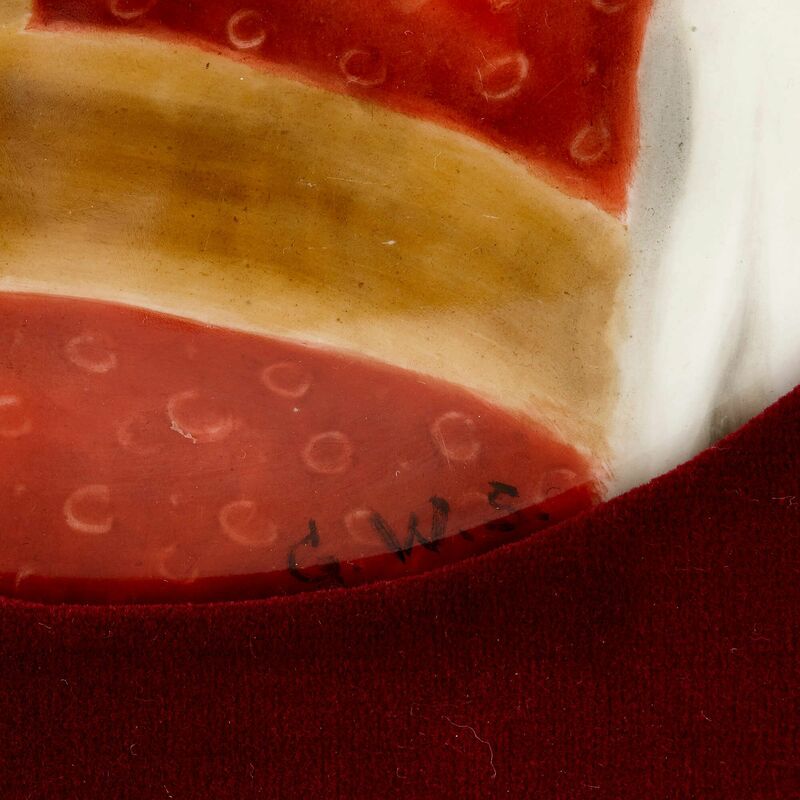 The 'G' is most likely a reference to Gotzkowsky — that is, Johann Ernst Gotzkowsky, the merchant who established the porcelain factory in Berlin in the mid-18th Century, which served as the prototype for the KPM. 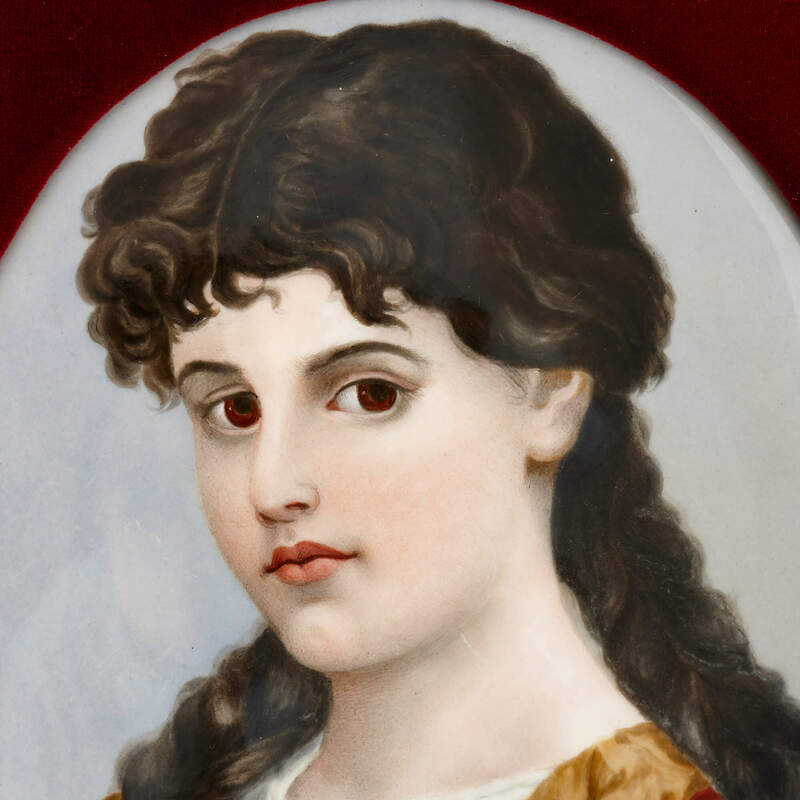 These portraits are of high quality, as one would expect of KPM porcelain wares. The first portrait depicts a young boy, while the second shows an older, although still youthful, girl. 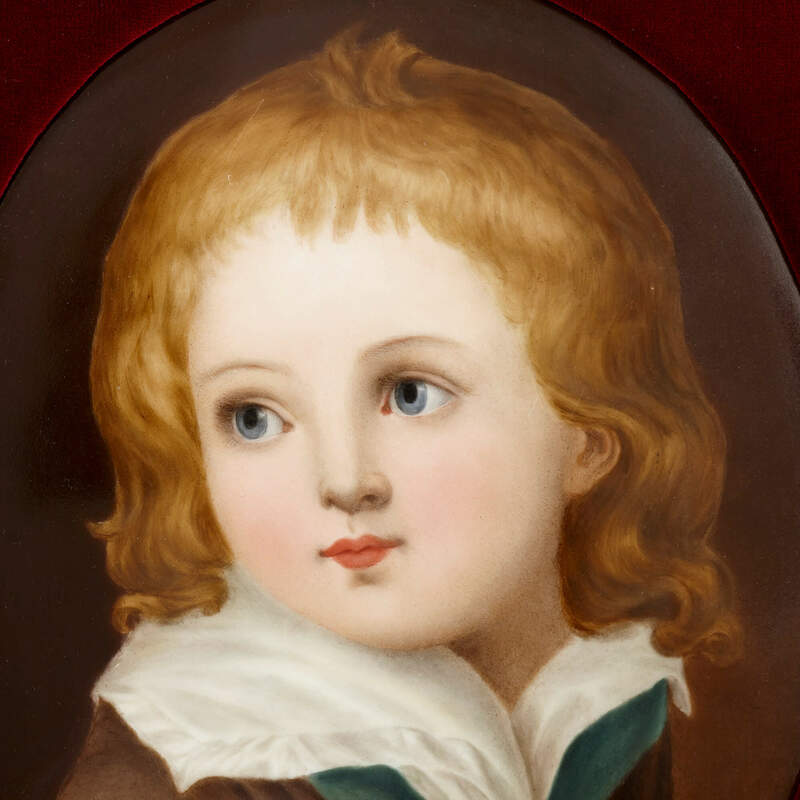 The boy has blue eyes and wavy, shoulder-length blonde hair. He wears a white shirt with a broad collar, and a dark brown overcoat with an emerald green lining. 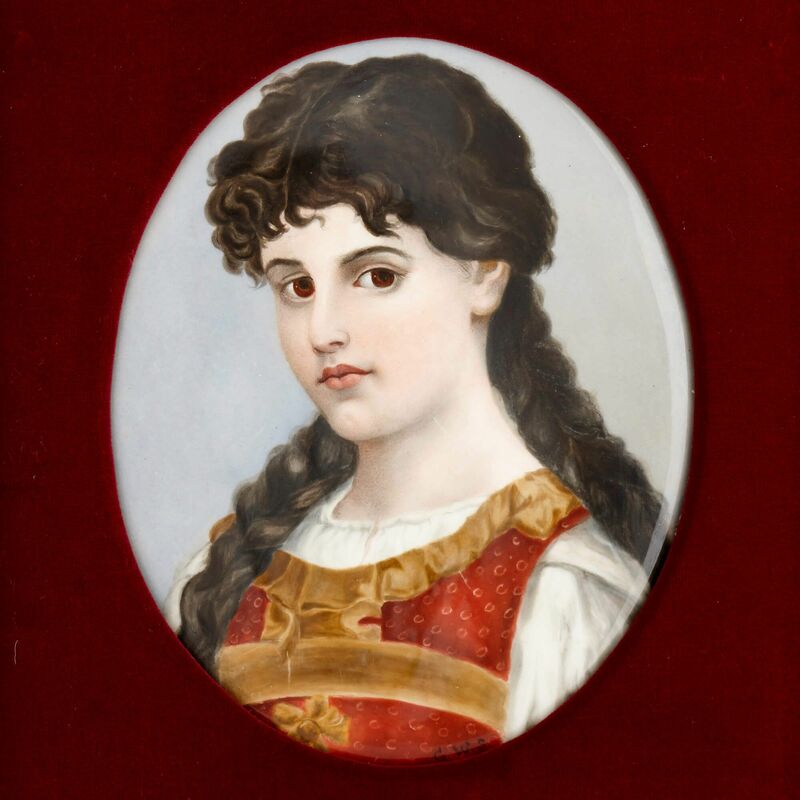 The girl, by comparison, has brown eyes and long dark hair, which she wears in two plaits. She is dressed in a white undergarment and a red- and gold-coloured piece of clothing on top. While the girl looks directly out at the viewer, the boy gazes off into the distance to his right. Both figures have been carefully rendered using short, well-blended brushstrokes. The depiction of the faces, in particular, is exquisitely detailed. The portrait of the woman is signed, in the lower right of the composition, with the painter's initials, 'G.W.S'. Both of the portraits are oval in their format and are cropped so that we only see the figures from the chest upwards. Each image is set within a deep-red velvet surround, enclosed within a giltwood frame which is decorated with a repeating acanthus leaf pattern.